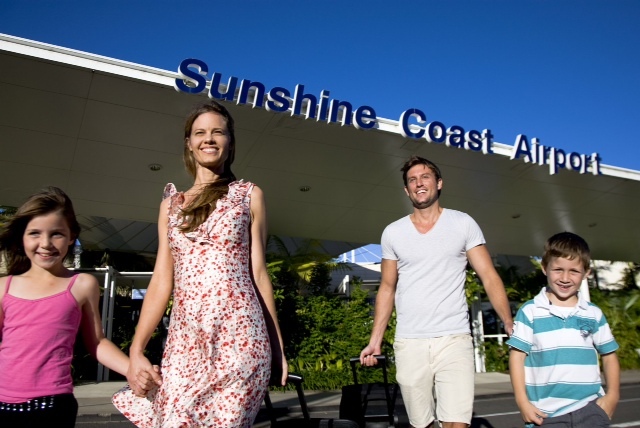 Sunshine Coast Airport has experienced a record July with more than 80,000 passengers, a 7.3% increase on the same month last year, travelling through the airport. The final figure of 83,108 passengers was a 10-month high, with all three airlines – Jetstar, Virgin and Air New Zealand – posting double-digit growth. Mayor Mark Jamieson said the record July was great news for the Sunshine Coast economy. “There is a growing confidence in our market built on strong economic performance and the great work happening in our tourism sector,” Mayor Jamieson said. “These figures are a reward for the hard work being put into this important part of our economy. Sunshine Coast Airport general manager Peter Pallot said: “We have had a stellar July and the outlook for August and September is strong. “The airlines are doing a great job in meeting the demands of travellers with increased capacity into the Sunshine Coast to meet the growing desire for locals to use their own airport and service the needs of our visitors. “We plan to continue to grow these numbers though our highly successful Fly Local campaign, and support the great work being done by Sunshine Coast Destination Ltd in highlighting what our region has to offer to our interstate and overseas visitors to the Coast. The Sydney to Sunshine Coast route has experienced strong demand and will have added capacity when Qantas begins services six days a week from December. A leisure-based schedule will start on December 21 to meet the Christmas and school holiday demand. Business flight timings will get underway from February 8, 2016. The strong figures build on the recent National Visitor Survey that revealed a 9.2% increase in domestic travel to the Sunshine Coast.